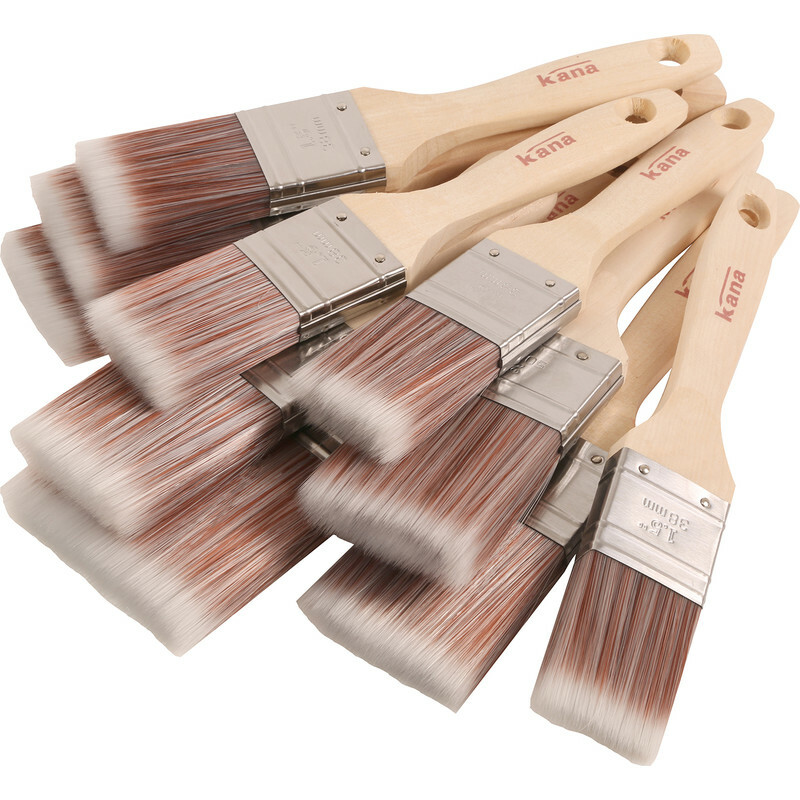 High quality 100% synthetic brush set with a wooden beavertail handle and stainless steel ferrule. Great for cutting in. Sizes: 4 x 1 1/2”, 4 x 2”, 1 x 3” & 1 x 2” Woodworker. Kana Synthetic Paintbrush Set (10 Piece) is rated 4.5 out of 5 by 15. Rated 5 out of 5 by Tripack Moaned from Affordable, feels like a premium product. Great for varnishing. Good value. Rated 5 out of 5 by John 1964 from Just the job I needed ten brushes to apply paint......... these do exactly what it says on the tin! Rated 4 out of 5 by Mart IV from More bristles needed! Good value product and cheap enough to use and save on cleaning. Lacked bristles/volume for a first class finish, but good enough!